Receiving a ticket during a hunting trip is not fun. The number one reason a hunter will receive a ticket is because he or she lacks proof of Texas hunter education. 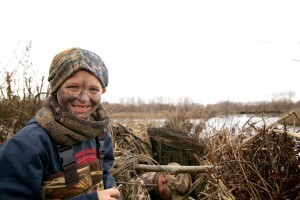 Every hunter, born on or after Sept. 2, 1971, must successfully complete hunter education and carry proof while hunting. If you can’t locate your card, go online and print a duplicate at no charge. Over 1 million Texans have completed hunter education and the field is a MUCH safer place to be because of it. Speaking of safety, check out this short video of firearm safety tips every hunter should know. You can take hunter education online or in a classroom, in English or in Spanish. Everyone who hunts with you will feel (and be) safer if you do. Then keep the proof in your pocket and avoid that ticket. Last year Texas dove season was good, but the forecast for the upcoming dove season is outstanding. In fact, dove populations are so healthy, the season has been extended to 90 days for the first time in 80 years. This makes it the longest dove season in the country – another reason why the hunting is best in Texas. Opening day is September 1 in the North and Central Zones, September 23 in the South Zone and the daily bag limit is 15. Check your Outdoor Annual for more details. It’s also a good idea to refer to the dove identifier so you’ll know which birds to avoid. Be sure to have a Migratory Game Bird endorsement and HIP certification if you plan to hunt dove. If you need a new spot to hunt, check out Walk-in Hunts, the Public Hunting Program that gives you access to over 1 million acres across the state, including areas for dove hunting. Wherever you go on opening day, good hunting! Register for your chance to win Texas hunts and a lifetime hunting license from Texas Parks & Wildlife. In appreciation of hunters like you who help keep Texas an ace place to hunt, Texas Parks and Wildlife is offering an awesome new drawing that’s FREE to enter. They’ve also expanded the Lifetime License Drawings, giving you 3 chances to win instead of the traditional 2. Win Your Dream Year Outdoors – 1 lucky license buyer will win the big shebang: 1 dove hunting trip, 5 fishing trips, $2,000 of Cabela’s gear and more. It’s FREE to enter, you just need a current license. Enter by Nov. 30. Click here to enter. Lifetime License Drawings – 3 people will win a Lifetime Super Combo License and never EVER have to buy a state license again. Enter by Sept. 30 for the best chance to win. Next drawing is October 31. Only $5 per entry. Click here to read more. 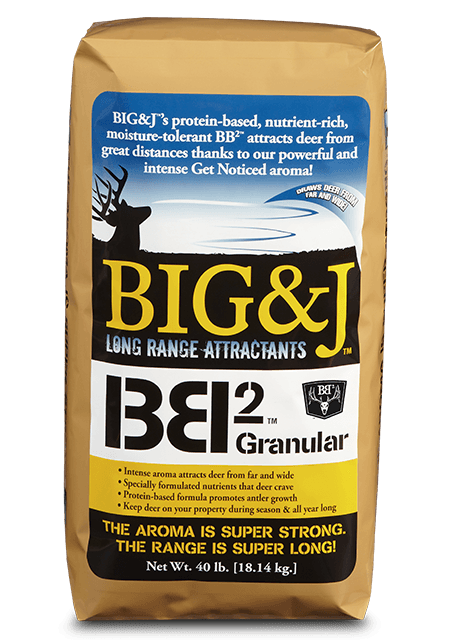 Big Time Texas Hunts – Enter to win 9 different primo hunt packages on top-notch private ranches and wildlife management areas, like this Ultimate Mule Deer hunt. Enter by Oct. 15, just $9 per online entry. Click here to enter. Do you know how to calculate the body condition score for deer? Body condition scoring can be a useful tool to monitor the health and condition of your deer. Maintaining optimal body condition in bucks can help to support great antler growth, does may be more fertile with increased potential to produce more high-quality milk which can result in healthy, fast growing fawns. I f raising a backyard flock was a treasure hunt, the ultimate prize would be a hen’s first egg. To extend this feeling of exhilaration and help hens produce wholesome, nutritious eggs long-term, care for the flock differently as they begin laying. Calcium: Calcium is essential to form strong egg shells. If the bird does not secure enough calcium from her feed, she may pull the nutrient from her bones, which could eventually lead to a weak skeletal structure. Since egg shells are developed at night, when birds are not eating, a consistent source of slow-release calcium in the diet is important. Oyster shells are the most common and reliable source of slow-release calcium. 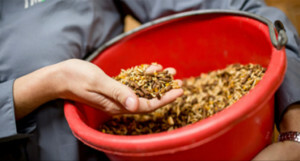 For strong shells and healthy hens, feed a complete layer feed with 16 percent protein and 3.25-4.5 percent calcium, like Purina® Layena® Premium Poultry Feed or Purina® Organic Layer Pellets or Crumbles. If your layer feed does not include Oyster Strong™ System, supplement the diet with free-choice oyster shells to add slow-release calcium. Omega-3: For even more nutritious eggs, offer laying hens a complete feed that includes flaxseed as a source of Omega-3. For example, when a diet of Purina® Layena® Plus Omega-3 was fed for at least three weeks, those hens produced large eggs (56 g) that contained 250 mg of Omega-3 per egg. 1 For comparison, a typical store-bought egg contains 50 mg of Omega-3 fatty acids per large egg (USDA: National Nutrient Base). Results may vary with factors such as total diet and hen health. 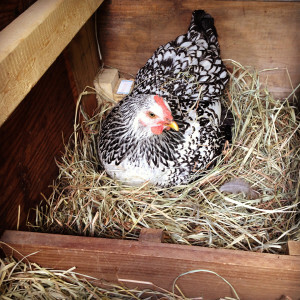 Posted in News & Updates | Comments Off on When Will My Chickens Lay Eggs? 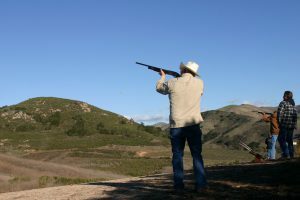 The 2016-2017 Texas dove hunting season dates have been approved by the Texas Parks & Wildlife Department (TPWD), and this year the season has been extended from 70 days up to 90 days, per the new federal framework for migratory bird hunting seasons. The extra 20 days for the season are being split between the early and late parts of the season, giving Texas dove hunters additional time to bag some birds. 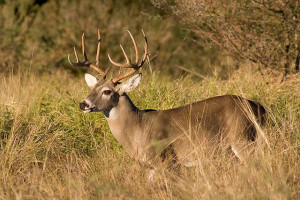 To see the Texas Parks & Wildlife 2016 – 2017 Hunting Season dates, click here. Get ready for hunting season at J&N Feed and Seed. We’ve got everything you need including ammo, optics from Vortex and Nikon and of course YETI coolers. Not sure how to select a watermelon? Take a look at our tips for selecting the perfect watermelon. Most people have no idea how to select a watermelon. They just knock on this over-sized fruit as if they know what they are doing. Although it can be difficult to know how ripe a melon is by inspecting the outside, there are several tricks you can learn to help you pick the perfect watermelon. There’s a definite art to picking the very best watermelons. It involves weighing the watermelon between your hands, turning it over, and giving it a firm thump on the underside. A heavy watermelon with a splotch on its belly and a hollow sound means it is brimming with juice and at the peak of its ripeness. Look for the Yellow Spot: Watermelons develop a splotch from where it sat on the ground. When this splotch is creamy yellow, it’s ripe. Give It a Thump: Tap the underbelly of the watermelon. A ripe one will have a deep hollow sound. If not ripe enough, it will sound solid; if too ripe, it will sound thick; if perfect, it will sound hollow. Protect your horses from West Nile Disease with West Nile Equine Vaccines available J&N Feed and Seed. We carry single dose syringes of EquiNile West Nile Virus Vaccine and Prestige V + WNV(West Nile) 7 way vaccine. Both vaccines are for healthy horses 6 months or older. EquiNile West Nile Virus Vaccine is for the vaccination of healthy horses as an aid in reduction of disease, encephalitis, and viremia caused by West Nile Virus. EquiNile WNV is adjuvanted with Havlogen. Give 1 ml IM to horses 6 months of age and older, repeat with a single dose in 3 – 4 weeks. Annual revaccination with a single dose is recommended. Killed vaccine. Prestige V + WNV(West Nile) available in single dose with syringe + needle, it is the industry’s first 7-way Vaccine plus WNV(WestNile) Vaccine with Havlogen Adjuvant. A killed virus low-volume vaccine that protects healthy horses against Equine Encephalomyelitis Eastern and Western, equine Herpesviruses(Rhino) EHV-1 and EHV-4, and Equine Influenza virus subtypes A1, A2 including KY93, KY02, and Tetanus Toxoid Plus West Nile – All in one shot! For horse owners, it is important to be educated on the risks of West Nile to your animals. Prevention and awareness are the most important steps you can take to protect yourself and your animals from this disease. 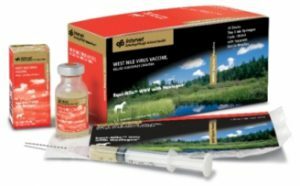 J&N Feed and Seed carries EquiNile and Prestige V + WNV West Nile Virus Vaccine for horses. We also carry Mosquito Dunks, Ultrashield and Centura to combat mosquitoes. Pick up these products at our store if you have concerns about West Nile in your barn!